When Paul was nineteen, his family had hopes that he would follow in the footsteps of the father, and become a merchant. His priest-uncle suggested to him that he become a priest. A young woman friend hoped that he would become her husband. But Paul had other ideas about his life, or rather the Lord had other ideas. As a young man, he felt drawn to the Cross of Christ. At age 21, Paul joined a crusade against the Turks, believing that this is what God asking of him. But having seen something of the horrors and violence of battle, he left this arena of conflict and prayed for guidance, for more direction in his life. His local bishop allowed him to live as a kind of hermit in one of the local Churches. It wasn't long before he became a minister of sorts to the local Church community, catechizing the children, helping around the altar. On occasion, he was given permission to preach. Paul knew that God had other plans for him. He discerned the need to keep a diary and to write a Rule by which he would live his life. Prayer, fasting, spiritual discipline and exercises, penances, charity and such would be the pattern of his life when he brought the Rule in 1721 to the Vatican for the Pope's approval, he was turned away. They thought he was a beggar. With great disappointment, he rededicated himself to the vision he believed God had given him. He returned to the North of Rome and invited others to join him. He didn't receive Rome's approval until 1769. He and his followers became known as Passionists. Paul was ordained to the priesthood in 1734. By this time he was busy preaching throughout Central Italy. Paul realized that many of the people in 18th century Italy had lost their way, spiritually. The rich were growing richer, and the poor were growing poorer. The Cross of Christ was not the driving force in their lives, to say the least. Paul wrote: “The world lives unmindful of the sufferings of Jesus which are the miracle of miracles of the love of God. We must arouse the world from its slumber." To this end, Paul wrote thousands of letters and preached many sermons to awaken the fervor and faith of the people. Paul taught people how to pray and meditate on the sufferings and death of Jesus. The sick and the abandoned were the special objects of his love and concern. He encouraged the clergy to greater fidelity and holiness in their priestly ministry. Paul died after many years of serving God's people, especially the Passionist Community. He was eighty-one when he died, in 1775. By this time, he was known as Paul of the Cross. When Jesus began his public ministry at the Synagogue in Nazareth, he read from the passage of Isaiah, the Prophet. "The Spirit of the Lord God has anointed me to bring glad tidings to the lowly, to heal the broken-hearted, to proclaim liberty to the captives, and release to the prisoners....." When Jesus read this passage from Isaiah, he meant it to be both an introduction to and a table of contents for his ministry. Jesus said: "This describes what I'm going to do in my public ministry." What really disturbed and inflamed the people that Sabbath Day in the synagogue in Nazareth was the proclamation of Jesus that "this prophecy is being fulfilled in your hearing." St Paul of the Cross must have heard something similar when the Lord called him: Paul might well have said: This is the outline of my ministry too, just as it was the introduction to and the table of contents of his life and ministry. And isn't this quotation from Isaiah, this passage that Jesus read, this passage that describes, in fact, what Paul of the Cross did with his life, isn't this our commission as well? This should describe both our call to ministry and the map we are to be following, in the footsteps of St Paul of the Cross. In taking a trip, especially in unfamiliar territories, we frequently check the map to see where we are going. We look back to our beginning, to our stating point, we calculate where we are at the present time, and we look ahead to see what's before us. It's good for us to dip into the life of Paul of the Cross time and again to check on our own fidelity to this particular expression of the Christian life known as the Passionists of today. St Paul the Apostle, in our Second Reading, reminds us that our life and ministry as Passionists doesn't always make much sense to some observers along the way. St Paul, says that "the message of the cross is complete absurdity to those who are headed for ruin, but to us," he says, "it is the power of God." This life doesn't make a lot of sense to many in our world today... Spending one's life devoted to the Suffering and Death of Jesus Christ on a cross, "what a waste!" some would say. It is God who is truly wise, but what God proclaims appears at times to be absurd. The fact that this instrument of torture, the cross, is the very instrument of our salvation - only God can effect this transformation. St Paul, the Apostle, finds two kinds of people in the world: those who can accept the cross and those who cannot. To the first group belong people whose love of God has led them to embrace an entirely new set of values, spiritual values that go beyond anything the world has to offer. To the second group belong people whose love of the world does not allow them to see any value in living the spiritual life Paul outlines. Paul knew that he was just one of a number of traveling preachers coming to talk to the Corinthians. Paul reminds the Corinthians that the true Gospel needs to be preached and not the particular preacher who might be passing through town. Buzz words, like worldly wisdom, razzle-dazzle, and gimmicks can interfere with a serious commitment to the Lord Jesus. Once a fiery, attractive or suave evangelizer has departed town, Paul says, the decision that confronts each person remains the Cross of Christ. It's what happens between the crucified Lord and ourselves that can affect the rest of our lives. The Church knows how a feast day celebration can sustain us in those days when the "celebration" is past. St Paul the Apostle and St Paul of the Cross, the "twins" can feed our souls for all our days. St Matthew tells us that Jesus continued his tour of all the towns and villages, proclaiming the Good News of the Kingdom. On that Sabbath Day in the Synagogue at Nazareth, he told those in attendance that he was going to fulfill the prophecy of Isaiah, to bring good news to the poor, the afflicted, the imprisoned. Matthew says that Jesus was doing exactly this. St Paul of the Cross knew that our Lord wanted him to continue this mission. St Paul of the Cross reminds us on this his feast day that this is what we are to be about. We must preach Jesus. All those who are the disciples of Jesus commit themselves to this effort. 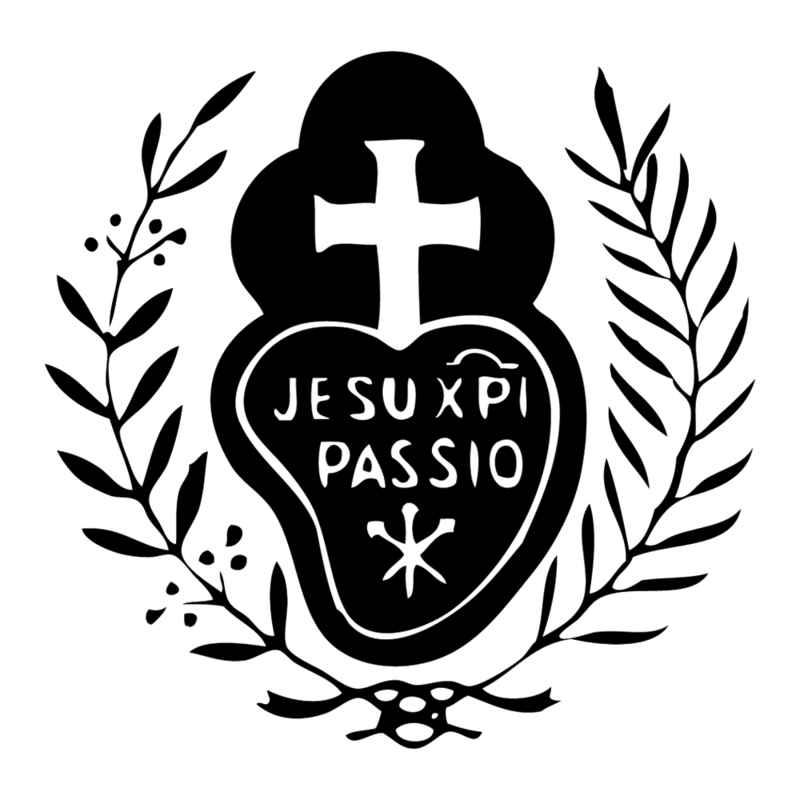 Passionists commit themselves in a special way to the ministry and mission of Jesus, of St Paul the Apostle, of St Paul of the Cross. The thrust of this Passionist vision of spirituality is so critical for our world today. Of course every religious community believes its charism is the best, that the world is in greatest need of its own particular gift, its special endowment to the Church. The Franciscans, the Benedictines, the Dominicans - we could go down the line. If we gathered all the religious communities of the world, we'd be surprised if each one didn't claim primacy, the Number One community of them all. But how can you improve on a community that extols in a special way the Suffering and Dying of Jesus Christ himself? A death, of course, that leads to the Resurrection in which we all are to share? We are so grateful to St Paul of the Cross for his listening to and his living out the mystery of the Sacred Passion of Jesus. One final note: As every Mass comes to an end, there should be focus on mission, on being sent. We celebrate this feast of St Paul of the Cross here in this place, at this time, at this Mass. In some ways, this is OUR internal celebration, as Passionists, Sisters and Oblates. But what happens here must not STAY HERE. This IS a cloistered community, and rightly so, but in some way, the walls of the cloister are pushed way back.... What goes on here must not stay here. I'm not sure how this is done, but it's something to reflect upon, to pray about. We end, together: We adore you, O Christ, and we praise you, because by your holy cross you have redeemed the world. Amen.